I am David D. Bravo, a property damage attorney serving clients from New Orleans, Metairie and throughout Louisiana. If your property has been damaged in a hurricane or other weather event, I understand what you are going through. I lost my house in Hurricane Katrina and understand the wide-reaching financial damage that can arise from hurricane damage. I used to work in the insurance industry and know firsthand how insurance companies try to limit or deny benefits. Remember, the insurance adjuster is not working for you. When you hire an attorney to handle your claim, he or she is working for you. As an experienced hurricane damage lawyer, I will aggressively protect your interests and seek full and fair compensation for the losses you have suffered due to hurricane and other weather damage. Contact my law office today online or by telephone at 504-934-1500 to speak with an experienced New Orleans property damage lawyer. 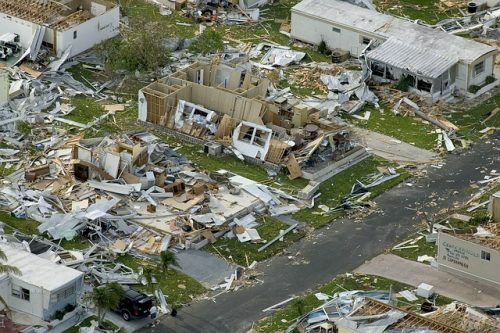 Insurance companies try various tactics to avoid paying a fair price for hurricane damage. They may claim the damage to your house was due to flood damage, as opposed to wind-driven rain. They may undervalue your property, leaving you with far less money than you need to restore it to the condition it was in before the storm. As an experienced property damage attorney, I can assess the true value of your property and aggressively negotiate with the insurance company on your behalf. I am dedicated to helping you pursue the insurance benefits you need to rebuild your home or afford a new one in the wake of hurricane damage. Are you seeking skilled legal representation for a hurricane damage claim? Contact my law office today online or by telephone at 504-934-1500 to speak with a skilled New Orleans property damage lawyer. I represent clients from New Orleans, Metairie and throughout Louisiana.